Bits & Scraps Of My Life: Never a dull moment! Hello and happy Saturday!! I always love the weekends! Altho I'm not sure why at the moment since all of my days are running together. Just a few more weeks til school starts for the kids and I will be able to settle into some sorta routine......maybe!!! Today the house is quiet, for now! Jacob is with his girlfriend who had a singing audition this morning. Apparently the girl can really belt out a song. And today is their "1 month anniversary". (Barf!!!) Can you remember as teenagers when we would celebrate every week of a relationship? Me either......lol. Well, he doesn't have a summer job and I am broke......but he wanted to give her something so he made her a card :) Actually he asked me to make it and I was taking to long to get to it because i was working on a DT project.......I swear, where do these kids get their impatient streak from????? 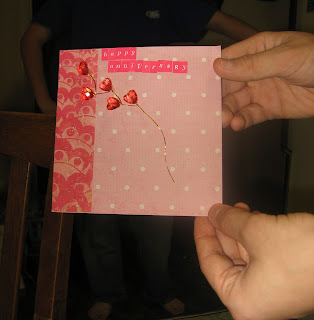 So he dug thru my supplies and created a little card for her.....wanna see?? He thinks I am joking about putting it on my blog......bwahahahahahahaha!!!! Never doubt Mama young grasshopper!!!! Isn't that sweet????? And he snuck that bit of Prima right by me.....darn him!!!! He is so proud....he said he must get his creativity from me.....coughcoughcough.......um, ok :) He is 16 and once he does ANYTHING, he thinks he has mastered it and is a professional. Since hooking up with Chloe he has starting singing ......a lot. And he can't sing. But he thinks he is gonna be the next idol......I can see this one is gonna have to learn his life lessons the hard way :) I'm glad he has so much confidence and isn't afraid to try anything......but if he can't do something and be a master at it in a week he gives up. Which I think is a definite teenage thing because I notice it a lot in other kids his age. He graduates this coming school year so life will teach him a few hard lessons I'm sure. She is adorable but I am staying true to my word about not getting close to the girlfriends!!!! Jesse can't stand her because he is super jealous. Jacob is his favorite brother and this girl is taking all the attention away from him. She was over to the house the other day and Jesse tried to be as obnoxious as possible to run her off.....lol.. Last night he said "you know the number one thing I hate about that girl???" She has dyed hair and that pink looks stupid!! 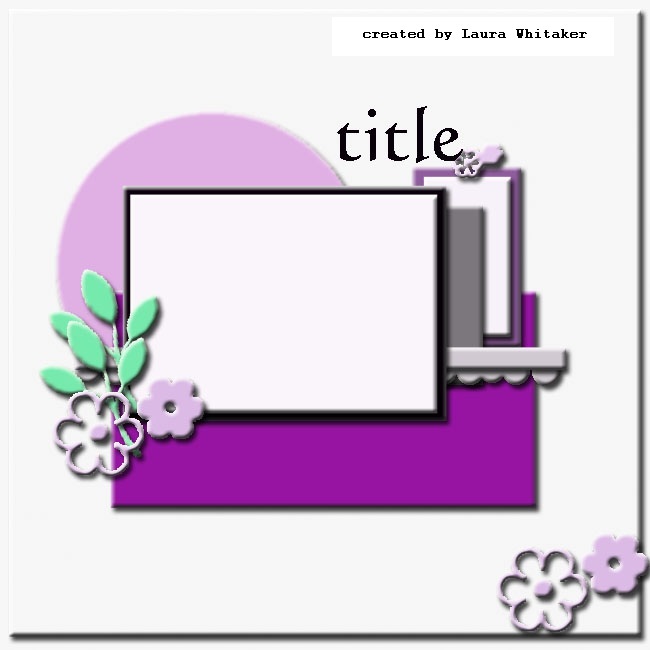 Now, if I haven't put you to sleep yet I have a couple of layouts to share :) They are both nothing like my usual style....whatever that is......lol. First one is of my little stinker Jesse. I absolutely love this photo of him. I think he was about 3 here. I used this sketch from Scrap Much. 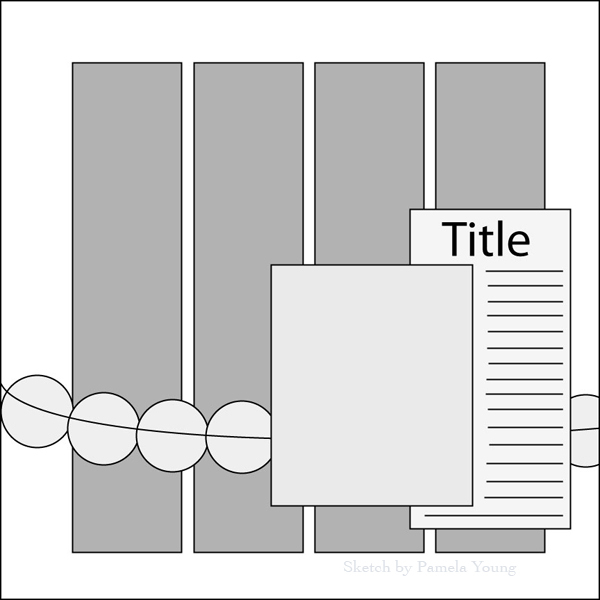 ..And Use it Tuesday also has a great challenge to use that hoarded paper. Admit it....we ALL have something that pains us to even think abpout cutting into!! For me it was Little Yellow Bicycle's Twig. The first Twig.....not winter twig...altho if I had it I would most likely hoard it too.....lol.. It's jsut beautiful and I h MAY have shed a little tear as I cut it. 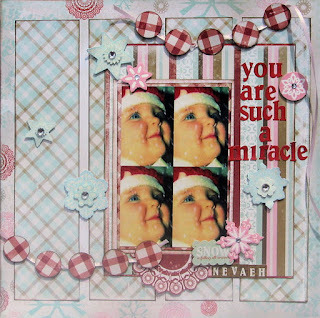 I'm sensitive like that :) BUT I did cut the scalloped die cut paper so I will have part of it to use again....LOL..
Next I used the sketch at Scrap Cake! I decided to scrap this photo of the darling Miss Nevaeh again :) And i used some Scrap Cake papers I won last year I think.......they are just gorgeous!!!! And you guys know I just can't resist banners so i added 2 of them ! I thank you for putting up with my babble today!! Be sure to come back tomorrow to see my reveal for the latest Lasting Memories challenge!!! And just a tip......when you visit wear some sun glasses!!! 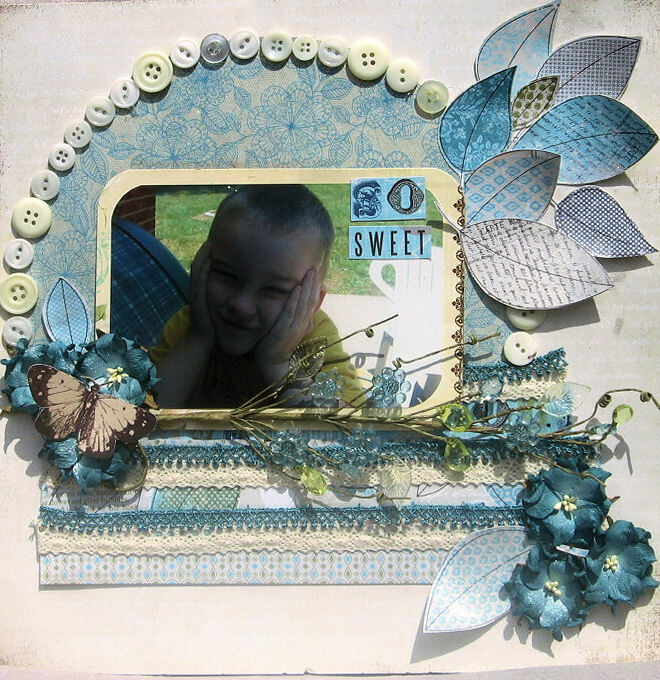 fabulous layout, love the flowers, the ring of buttons and the hand cut leaves! the other layout is adorable too! thanks for playing along with us at ScrapMuch? Ya know, I don't scrapbook much, but when I do, it's amazing how much STUFF you can put onto a page. I love what you've added here, and YAY for using new stuff! Bummer about the bike :( And I loveeeeee the card he made... she is just a cutie!!! I love love love love all your lo's!!! LOVING all the buttons!!!! Both layouts are awesome Tina, I particularly love the blue layout! Jesse did an awesome job in helping you! The buttons are an awesome touch! I love what you've done with the ScrapMuch? sketch challenge ... love the TWIG and the dimensional leaves! Thanks for sharing with us at ScrapMuch?! Awww, sorry to hear about the bike!! WTG on top 5 though!! Aww, how sweet is that card! Well done Jacob and to think mom wouldn't share with us!! LOL! I know I would and have!! 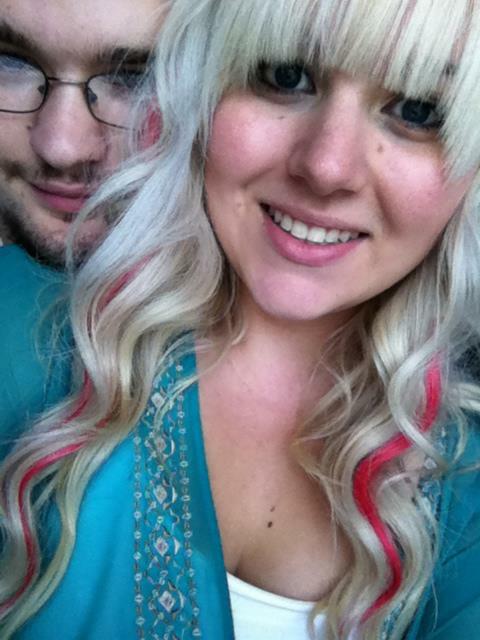 GF is quite cute and I think the pink is fun. Coming from me who now has red/blonde pc's peaking out from under my hair lol. Love both your LO's, especially the first one!! Gorgeous! I love Twig too!! What a stunning layout. I really like how you hand cut the leaves and made them just pop! In fact, great use of all your embellishments!! Beautiful work! HOLY DINAH!!! That is a gorgeous layout!!!! So much detail, love the buttons!! Love it ALL!! Thanks for joining us at Use it Tuesday! Love the leaves layout, pretty colors and fabulous arrangement of elements, lovley!